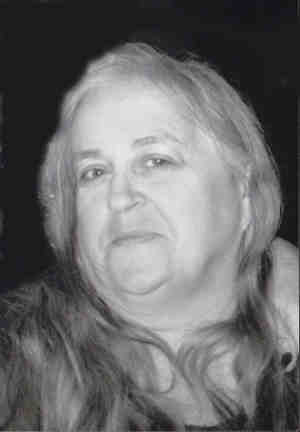 Mary (Mrs. Ralph) Thedens, age 55, of Medford, and formerly of Faribault and New Ulm, died on Friday, November 23, 2007, at her home in Medford. Memorial services will be held on Thursday, November 29, 2007, at 10:30 a.m. in the Boldt Funeral Home, Faribault. A memorial visitation will be held in the Boldt Funeral Home, Faribault for one hour prior to the services on Thursday. Mary Louise, the daughter of William and Magdalen (Eischens) Kapolczynski was born on March 1, 1952 in Canby. She graduated from Cathedral High School in New Ulm. She married Ralph Thedens in 1972 in New Ulm and he preceded her in death on April 27, 2002. She was formerly employed by Jerome Foods and the Depot Restaurant, both of Faribault. She is survived by her daughters, Amy (and Edward) Bauman of Faribault and Kimberly (and Gregory) Chester of Medford; five grandchildren, Payton Brasseaur, Tyler and Emily Bauman, Katelyn and William Chester; her mother Maggie Kapolczynski of Mesa, AZ; four siblings, Jean (and Gregg) Stimpert of Mesa, AZ, John (and Judy) Kapolczynski of Shawnee, KS, Lola James of Mesa, AZ and William (and Maria) Kapolczynski of New Ulm; nieces; nephews; and other relatives and friends. She was preceded in death by her husband, Ralph and her father, William. I remember Mary being my mom's best friend and giving us alot of good laughs. She was always funny and full of laugher. I will miss her. I'm glad I got to see her not that long ago. My prayers are with your family. I will always remember the good conversations we had at Jerome Foods and the bad time she always gave Mark there. I haven't seen much of Mary since the plant reconstruction but will remember her with found memories. Mary was a great lady and I am sure she will be sadly missed by her family.